Find cheapest flight deals to Europe. We have partnered with all major airlines and travel suppliers to offer you the best flight deals to Europe. Our online flight search engine will help you find the lowest prices on Europe flights. Compare and book plane tickets to all major tourist attractions in Europe including London, Paris, Rome, Barcelona, Dublin, Zurich on more than 25 airlines. We all love to travel around the world and see new destinations. All the continents on this globe have something different and unique to offer. One of the most popular travel locations for the year 2018 has been Europe. Every country on the European subcontinent has its own charm and attracts a lot of tourist throughout the year. In case you have been planning a trip to Europe, then here is a list of top 10 travel destinations to visit. Besides, you can even book cheap flights to Europe for any of these destinations in advance. Following is the list of our top flight routes to Europe. Wroclaw is a city located in the western part of Poland, and it is also known as the Polish Venice. It is the most significant historical city in the region of Silesia and is situated on the banks of the river Oder. The reason why Wroclaw is one of the most popular tourist destinations in Poland is due to its historical past. It dates back almost a thousand years making it one of the oldest cities in the country. 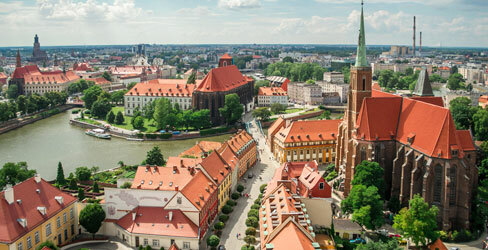 Moreover, Wroclaw represents a beautiful amalgamation of different cultures, that it has taken from other European countries. To make your trip enjoyable and worthwhile, make sure that you visit these restaurant and tourist attractions in Wroclaw. 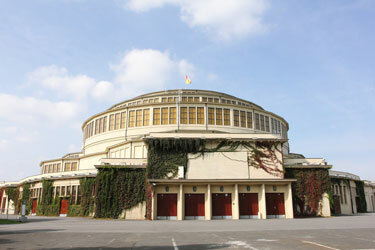 If you want to witness the historic site of Wroclaw, then visiting the Centennial Hall is a must. 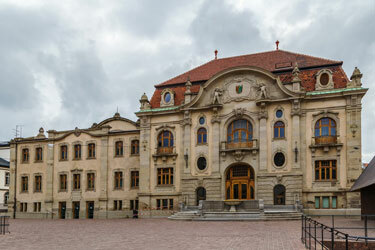 The building was constructed in 1911 under the guidance of architect Max Berg. It was created when Wroclaw was under the German Empire. That is why you can see the glimpse of German architecture in the building. Another popular tourist attraction that you should visit while you are in Wroclaw is the market square. It is a medieval market zone which is now open to the public. Besides, you can even find numerous pedestrian tours for this particular attraction. The highlights of this destination are its modern and colourful townhouses. 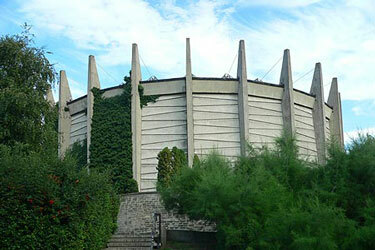 If you are looking to visit an attraction which is one of a kind, then the Raclawice Panorama must be on your list. It is a cycloramic painting which depicts the battle of Raclawice. The attraction was opened in 1893, and it highlights the mass-culture of the 19th century. If you are someone who loves to be in the midst of nature, then visiting Bilbao is an excellent idea. 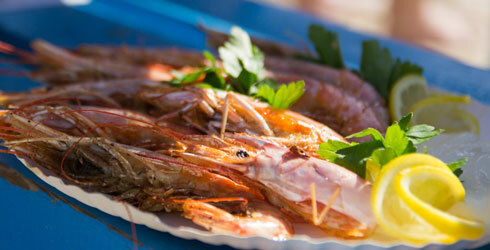 It is amongst one of the largest cities in the northern part of Spain and is known for its beautiful landscape. 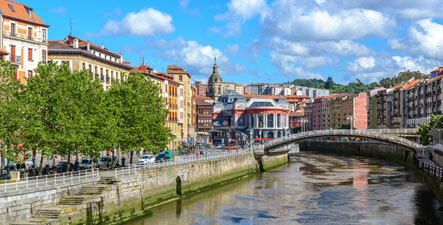 Bilbao is a port city which is why you can enjoy many different water activities as well. Besides, since it is one of the most significant metropolitan areas in Spain, there are many different activities which you can enjoy while you are on vacation. Here is a list of a few places that you must visit while you are in Bilbao. 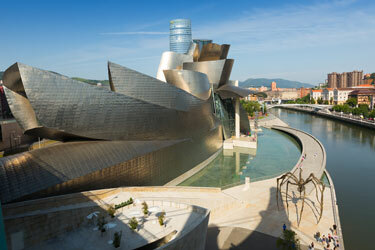 If you are an artistic person, then make it a point to visit the Guggenheim Museum in Bilbao. It is known for showcasing modern and contemporary artefacts created by Frank Gehry. The museum was established in 1997 and was inaugurated by the king of Spain Juan Carlos. 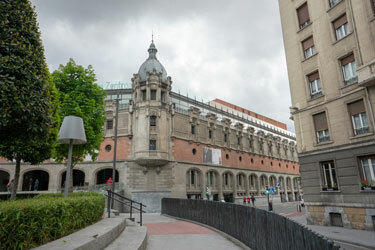 Another popular tourist attraction in Bilbao is the Plaza Nueva. It is a square made of neoclassical buildings that date all the way back to 1821. 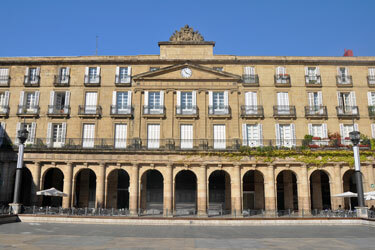 Nueva is also known as the Old Plaza and is famous for its architecture. 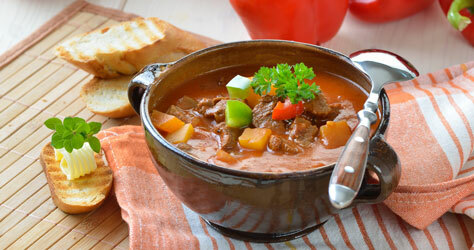 It is now a flourished market space which is filled with eateries and urban style shops. For those of you who are looking to spend their vacation more interactively, visiting the Azkuna Zentroa is worth a shot. It is a historical, cultural centre which was established in the year 1909. There are various lectures, exhibition, theatre plays, and movies that you can find in this single location. 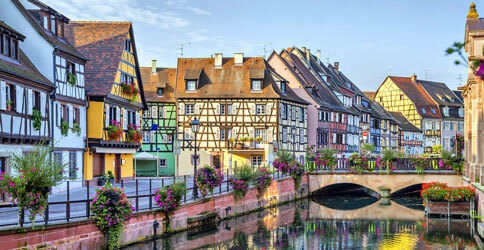 Colmar is located in the northeastern part of France and is one of the most visited destinations of the country. 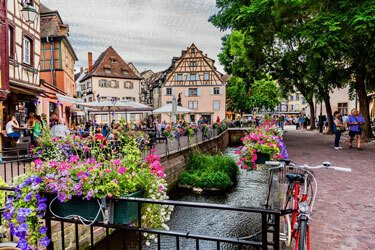 If you are a historian who wants to tour destinations known for their colourful past, then Colmar should be your first choice. 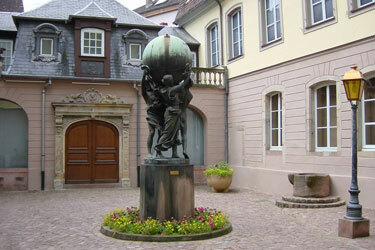 Apart from this, Colmar is also known for its architectural landmarks and museums. 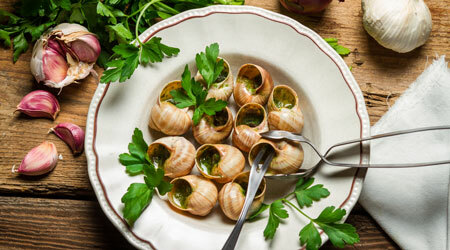 By visiting this one destination on your next vacation, you will be able to understand the history of entire France. Besides, you can even get great offers on cheap flights to Europe for Colmar. To make it easy for you to plan the trip, we have created a list of the best attractions and eateries of the destination. In case you have made up your mind, about visiting Colmar on your next holiday, try doing it during the La Petite season. 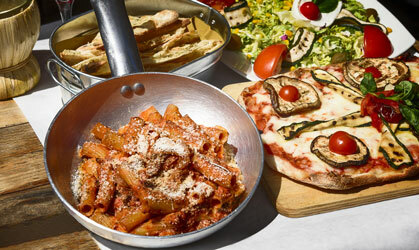 It is a seasonal Italian fare that is organized in one of the most prestigious locations of the city. The fare is open 24 hours, and it serves some of the best food and drinks. If you want to get more insight into the history of France, then try keeping a day aside for visiting the Unterlinden museum. The museum is situated in a 13th-century convent which was also a public bathhouse. It is also known for displaying art made by local artists. Visiting Colmar and not checking out the Bartholdi museum is a big NO. This attraction is dedicated to the world-famous architecture Auguste Bartholdi, who is solely responsible for designing the Statue of Liberty. In case your planning a holiday during the summers, then considering a beach destination is advisable. 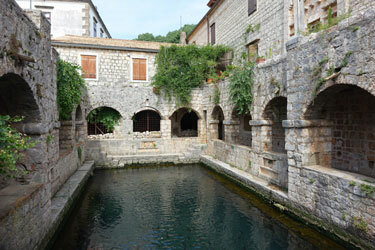 One source location is the Hvar Island. This island is located in the Adriatic sea and is a part of Croatia. This particular tourist destination is trendy amongst couples and honeymooners since it gives them a quiet place to spend time together. 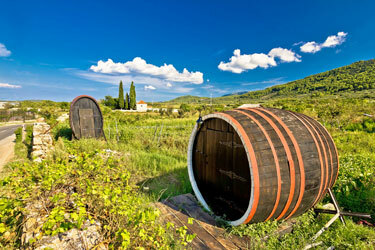 While you are in Hvar Island, you can visit its numerous rainforest and vineyards. Furthermore, the island is also covered with fresh water springs and beautiful stretch of endless coastline. If you are planning a trip to Hvar Croatia for the first time, then here are a few locations that you must add to your itinerary. 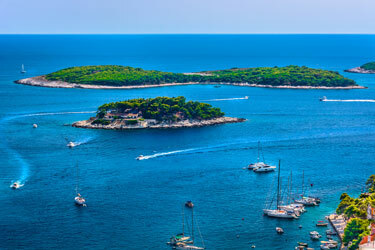 If your sole purpose is to enjoy water activity while you are in Hvar Island, then this is the place to visit. Here you can even indulge in different activities like boating, diving, as well as water sports. This particular attraction is an agricultural landscape, which was established in the 4th century by Greek colonists. Till date, the Stari Grad Plain is in its original form. 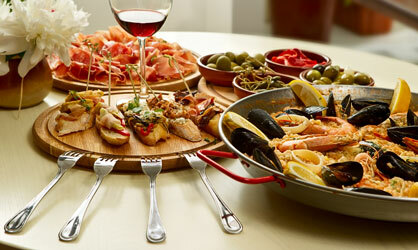 Besides, you can even enjoy wine tours while you are near the attraction. This attraction has also been marked as a UNESCO World Heritage Site in the year 2008. The castle was the home of an ancient poet which has now been turned into a tourist attraction. It was built during the 16th-century, and it still has certain personal belongings of the poet. The highlight of the castle is its architecture. 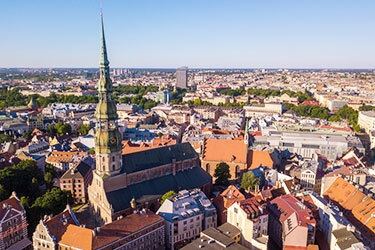 Another destination which is known for its historical side is Riga. It is located in Latvia and is one of the most populated towns of the country. Besides some of the attractions found in the city are also marked as UNESCO World Heritage Sites. It makes the destination even more popular amongst tourists. The town was established in 1200, and the glimpse of ancient relics can still be seen all around the place. On the other hand, Riga also holds the record for receiving the most amount of visitors around 1.4 million in the year 2016. 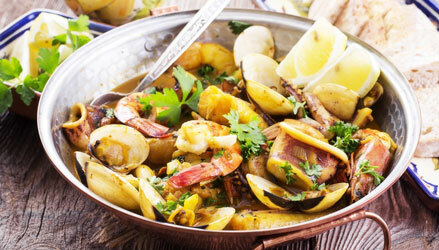 Here is a list of the most famous restaurants and attractions that the city has to offer. 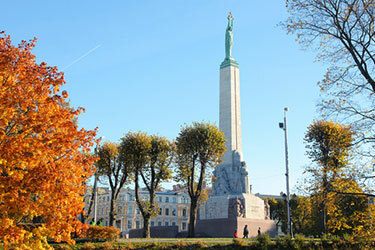 One of the first attractions that people visit while they are in Riga is the Freedom Monument. It was built in 1935 and is known for showcasing the struggle of independence that Latvia faced. The Freedom Monument stands at an incredible height of 138 meters and is one of the most important symbols of the country. Brothers of Blackheads was a group created for unmarried individuals. The residence that they stayed in is known as the House of the Blackheads. It is a 14th-century building which now acts as a tourist destination. The attraction is a gothic-style creation which is now home to the president of the country. In case, you feel like visiting religious attractions, while you are in the city. Then the Saint Peter's Church is the place to go. It is a 15th-century medieval church which is situated on a steep mountain. Italy is the first name that comes to our mind when we talk about religious attractions and shopping paradises. One of the most prominent and visited locations in Italy is Milan. It is considered to be a fashion hub and has headquarters of all the biggest brands in the world. 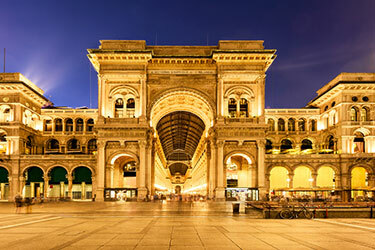 Moreover, Milan also has a number of different architectural wonders which are open to tourists. Being an entirely global city, Milan showcases its strength in various sectors like art, commerce, design, entertainment, fashion, and tourism. 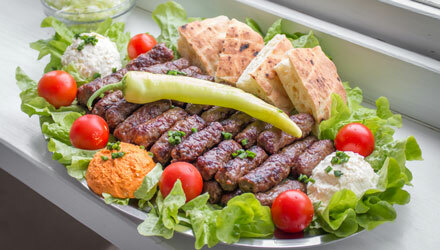 The local cuisine is also something which encourages a lot of people to book their cheap flights to Europe every year. 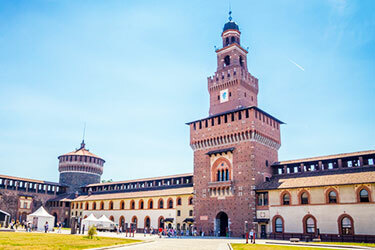 Italy is known for its historical charm, and one of the best places to experience it is the Sforza Castle. It is a 15th-century fortress which has now been turned into an art museum. This castle is considered to be one of the most massive citadels in Europe. A one-of-a-kind shopping experience can only be achieved by visiting this particular tourist attraction. Hear the shopping arcade is situated in a 19th-century ornate building. It is a high-end shopping location and is considered to be the landmark of Milan. Opera and theatre play constitute a significant part of the Italian culture. 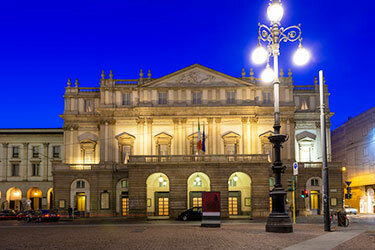 The best place to catch live entertainment shows in the city is the Teatro Alla Scala. It is an 18th-century theatre which is famous for presenting ballet and plays. Who doesn't want to visit a destination which is known for its rich history and grandness? 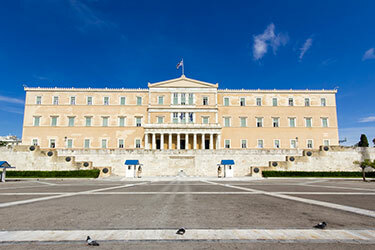 One such location that you must consider attending if you too want to experience something unique, is Athens. 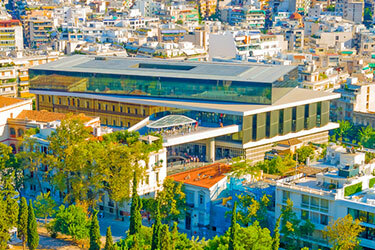 Athens is the capital of Greece as well as the biggest city in the region. It is included in the list of the oldest cities in the world and was also a part of the most powerful Empire ever. 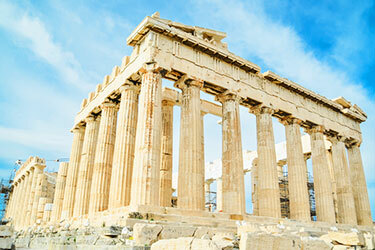 Apart from its grand monuments, Athens has a lot of other locations that you can visit. The city is also famous for art and entertainment related activities. Here is a list of sites that you should not miss out on while you are in Athens. This is a hilltop temple and monument which dates back to the 5th-century. It is a citadel which is located on a steep hill and is visited by millions of people each year. Besides, it is also a part of the UNESCO World Heritage Site list. In case you are visiting Athens to know more about the history of Greece, then this is the place to consider. It is an archaeological museum that showcases every piece of rock and artifact found near the historical landmark. If you are looking to spend a quiet evening while you are in Athens, then Syntagma Square can be an ideal location to do so. It is a plaza which is located in the central part of the city. 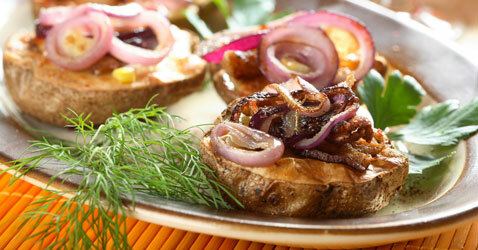 The site is filled with amazing eateries and cafes. 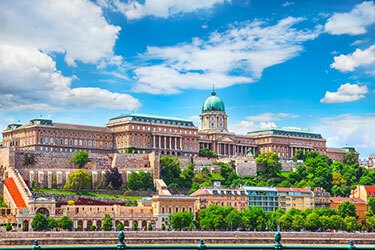 If you are looking for a destination, that is a complete package for your next holiday, then try considering Budapest. Located in Hungary, it is a destination that offers scenic views. 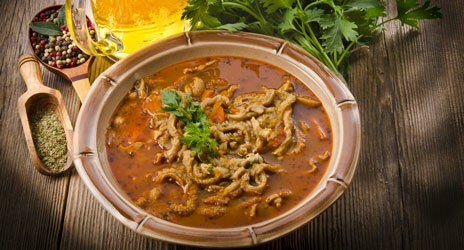 Besides, Budapest also has all the usual tourist activities that you can enjoy while you are in the city. It is packed with popular locations like museums, entertainment centres, architectural landmarks, as well as parks. The best part about visiting Budapest is that it is not extremely crowded like other travel destinations. It allows you to enjoy your holiday more conveniently. Completed in 1265, this castle was built for Hungarian Kings. The castle now houses a beautiful art gallery. It is known for displaying sculptures and other gothic artefacts. Besides, the villa also gives you a magnificent view of the nearby National Art Gallery. 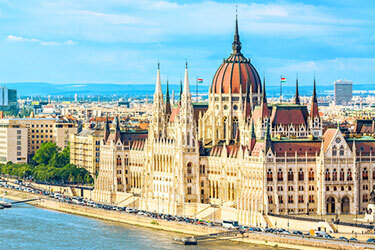 The other tourist attraction that you should visit while you are in Budapest is the Hungarian Parliament. It is known for its fantastic architecture that depicts a gothic revival style design. 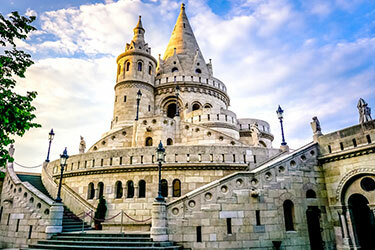 The third location which you should include in your must-visit list is the Fisherman's Bastion. It is a 19th-century fortress which gives you a panoramic view of the city. The palace was built in 1902. 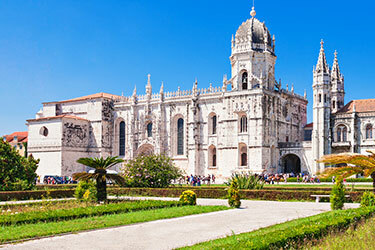 Lisbon is a travel destination that is emerging at high speed. The city is located near the Atlantic coast and is the largest one in Portugal. The town was earlier known for international trade due to it being near the sea. However, over the years it has developed as a popular tourist destination. The city fits perfectly in the categories of a beach and global destinations making it an ideal choice for young travellers. 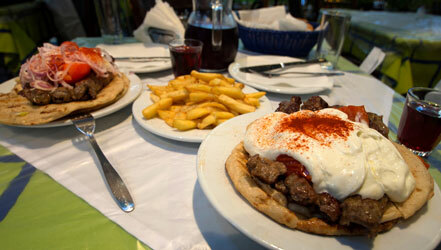 Lisbon also ranks high on its nightlife, which is another reason why the youth preface to visit the location. Moreover, travellers can also find cheap flights to Europe, especially Lisbon which makes the destination quite affordable. 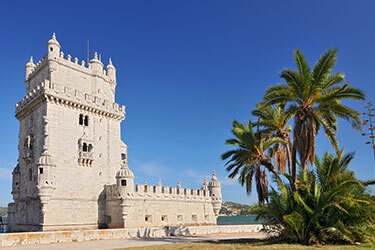 Lisbon to has certain world heritage sites, and one of them is the Belem Tower. It is an old landmark that used to be a defensive tower in the olden days. The tower was constructed in 1519 and has been a popular destination ever since. It is a medieval monastery that was opened in 1601. Apart from this, the monastery also serves as a museum showcasing archaeological and maritime artifacts. You can even find regular tours to the monastery. 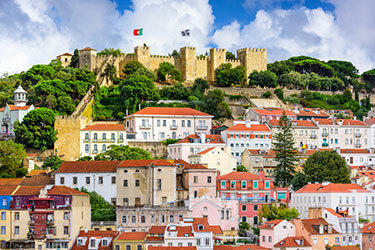 Another most visited locations in Lisbon is the Jorge Castle. It is a Moorish palace which was the royal residence of the family. It was built in the 11th-century, and the visitors are allowed to see the palace ruins. Lastly, for those of you who are trying to search for a location that will allow you to rejuvenate, Bohinj might be the saving grace. If this is your retirement trip or you are just looking to spend some quality time with your significant other. Then Bohinj is a destination that you should visit at least once. It is a beautiful valley which is located in the northwestern part of Slovenia. 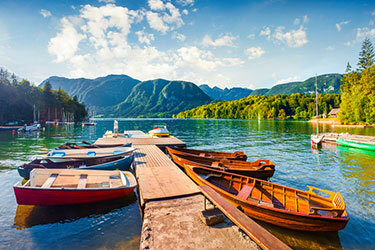 The valley is surrounded by the Julian Alps and has a magnificent lake in the centre. It is the ideal place to visit in summers as well as winters, making it the perfect travel destination. The national park was opened in 1981 and is spread around an area of the 340-meter square. It is created on the highest peak of the Julian Alps and is the most visited tourist attraction in Bohinj. If you want to enjoy water activities while you are in Bohinj, then Aquapark can be a great place to visit. It has a lot of different rides along with some good cafes. It is an attraction that can also be attended by kids in case you are traveling along with your family. Lastly, an attraction that is located in the middle of the rainforest is the Devil’s Bridge. The location of the bridge along with its surrounding makes for a surreal experience. We offer price drop guarantee on all airline tickets to Europe. If the price of the exact same flights and dates drops after your purchase, we offer up to C$ 100 as a future travel credit which can be used to purchase any flight in the future with NanakFlights. We are sure that after reading about all the beautiful destinations, that are available in Europe, you must be eager to plan a trip soon. However, always remember to book your cheap flights to Europe in advance, so that, you can enjoy your trip without stretching your budget too much. We are RATED 4.4/5 by 1040 Google reviews for a reason!